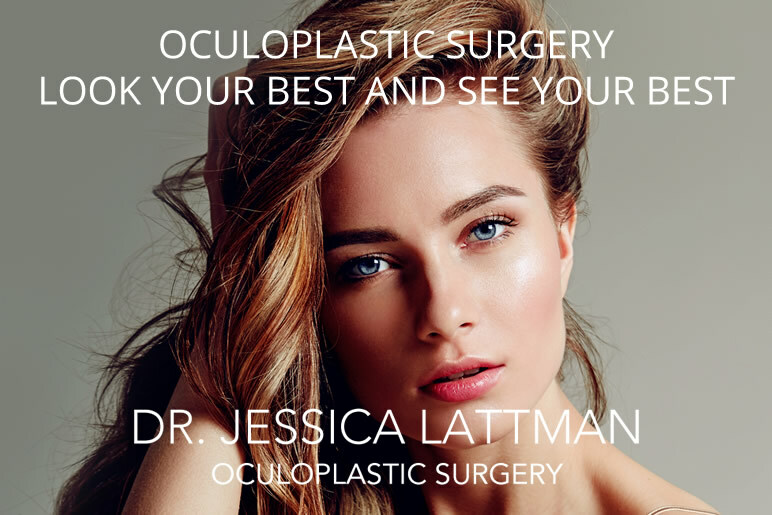 Dr. Lattman is an oculoplastic surgeon in New York City who believes that her patients should look their best at every age. 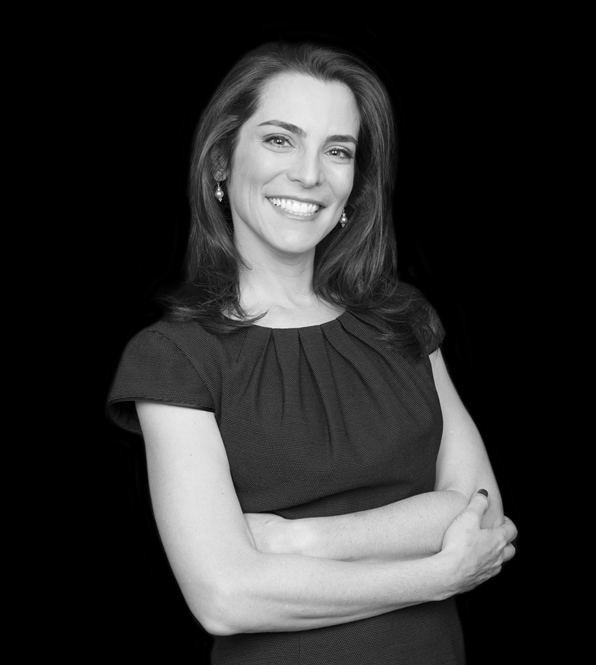 She devotes herself to creating the most natural surgical results. 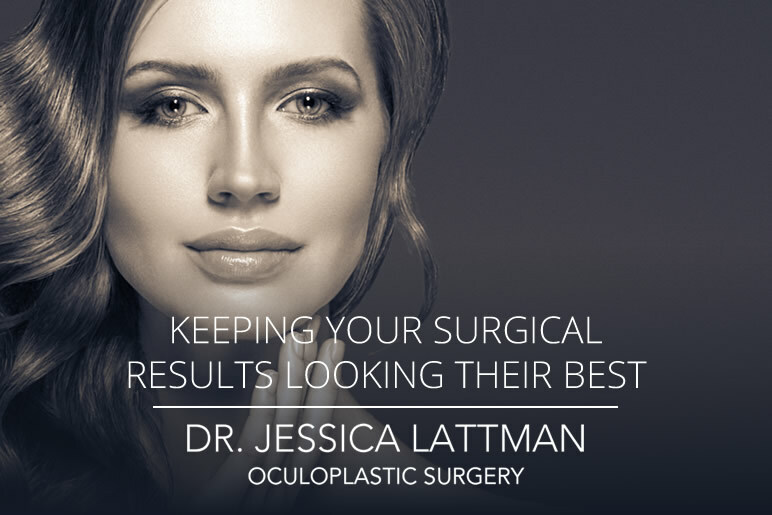 Dr. Lattman works to improve and enhance each individual’s beauty, not change it. In Dr. Lattman’s hands, cosmetic surgery can dramatically improve a patient’s appearance without changing their unique look. She is an expert in blepharoplasty (eyelid lifts), ptosis repair (eyelid repair), brow lifts, hair restoration, and MOHS reconstruction. 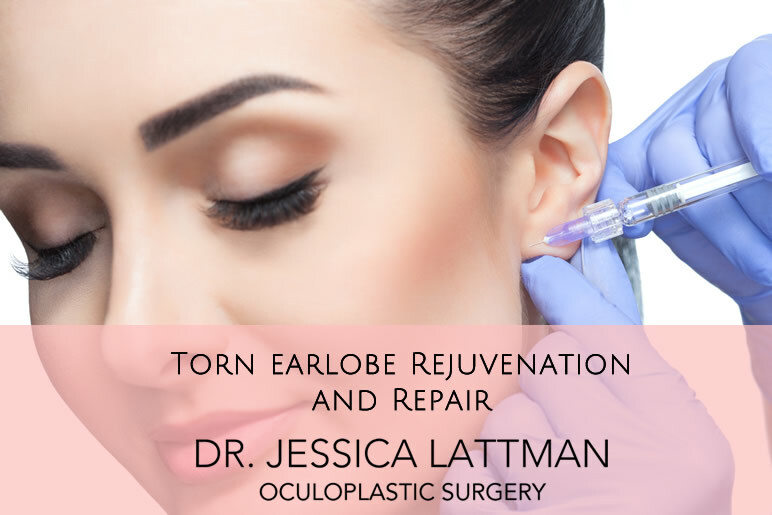 Dr. Lattman also performs minimally invasive procedures such as Botox (Xeomin, Dysport), Fillers (Restylane, Juviderm) and Laser Treatments. 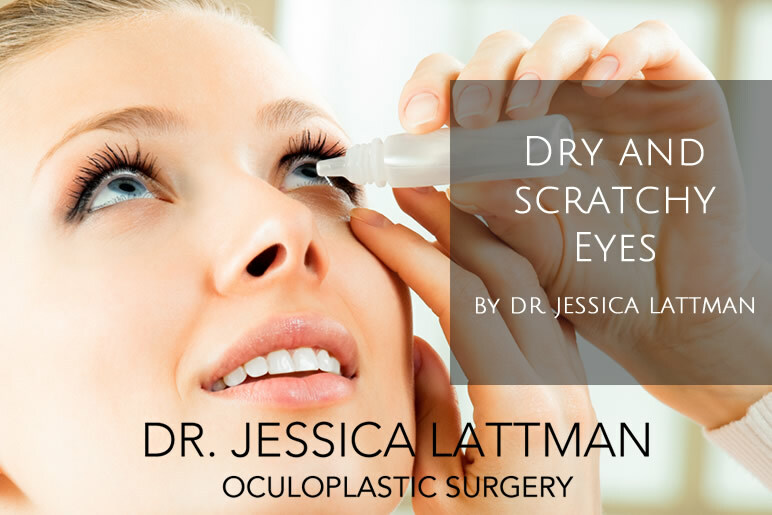 Dr. Lattman also treats common eyelid conditions such as chalazions, dry eye/blepharitis, skin tags and cysts on the eyelids. When the eyelid loosens or falls, patients often feel a disconnect between the way they look and how they feel. 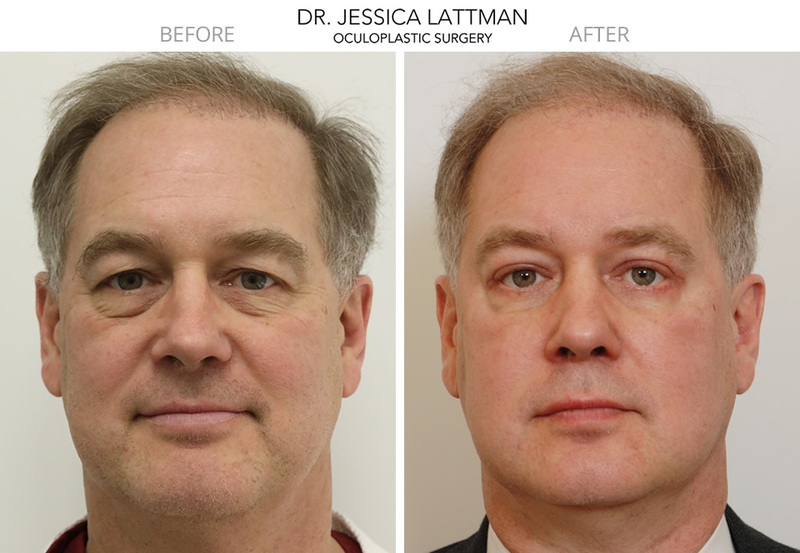 Dr. Lattman’s eyelid rejuvenation and repair provides the muscle support required to reduce this common look of fatigue. The effect of drooping eyelids may be both cosmetic and functional, with the common complaint that the lid is obstructing vision. 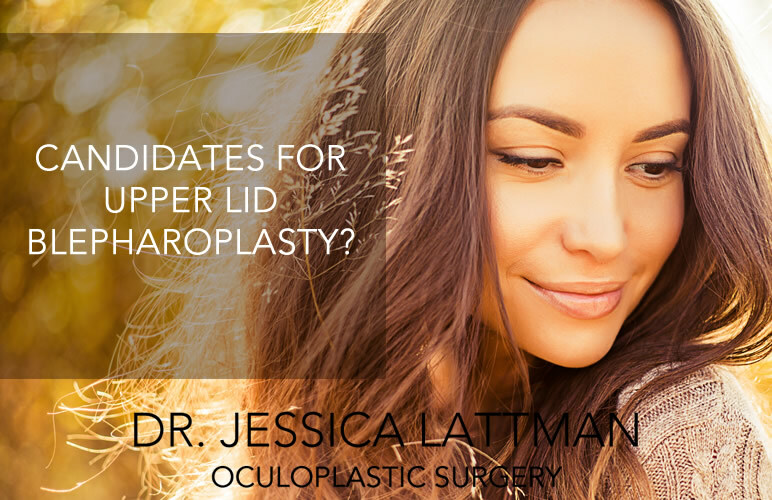 Dr. Lattman is an expert in lid repair and restoring lids to a comfortable and beautiful position. 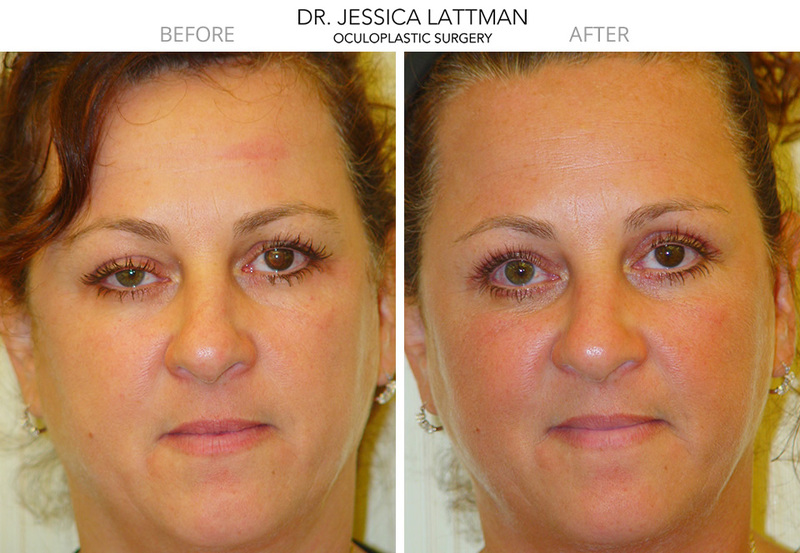 Many patients come to Dr Lattman wanting to improve the appearance of their upper eyelids and brow area. Often, an upper eyelid blepharopalsty can correct the problem. But in some patients, a low brow also contributes to the hooded and heavy appearance appearance of the upper eyelids. 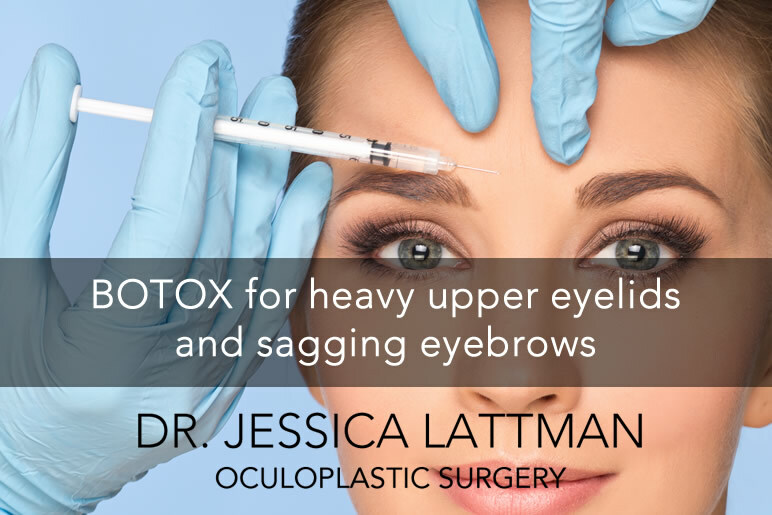 Dr Lattman uses the endoscopic browlift technique to treat droopy eyebrows, and heavy upper lids in patients with low brows. 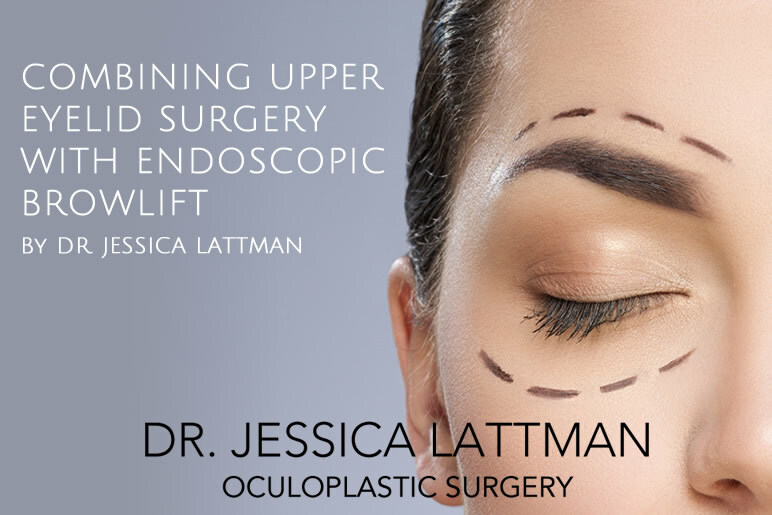 As both a surgeon and injector, Dr. Lattman knows the brow and eyelid anatomy inside and out. This allows her to strategically place Botox and fillers exactly where they will have the most effect and will look completely natural. 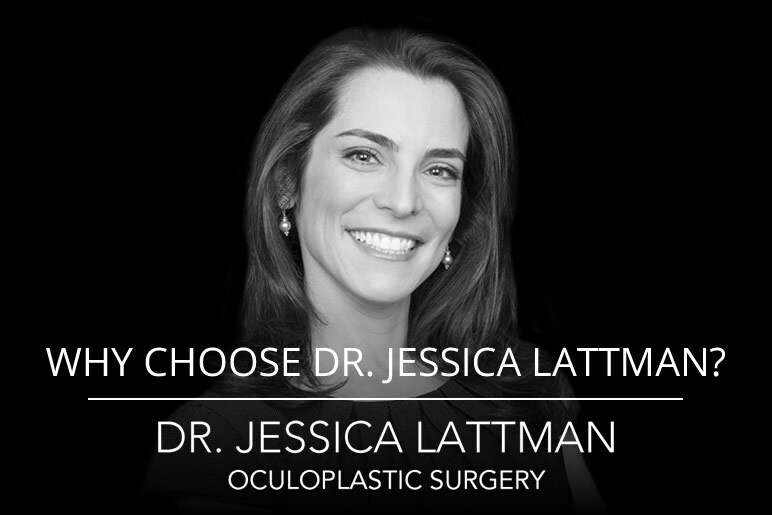 An expert in eyelid surgery, Dr. Lattman's specific training in Asian lid anatomy makes her an ideal choice for this type of cosmetic or functional adjustment and repair. She is happy to customize her surgical approach to suit your unique needs. 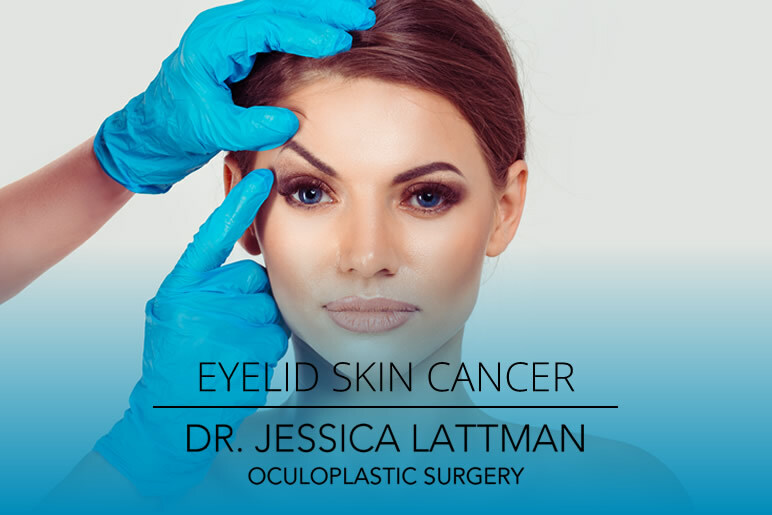 Dr. Lattman has extensive expertise in surgically treating skin cancer of the face, eyelid, and regions around the eyes. Her advanced techniques minimize scarring and preserve the important functions of the eyelid. Over time, the earlobes can show the same signs of aging like other parts of the face. They begin to elongate, thin, wrinkle and sag. Also, the piercing can tear and stretch. The good news is that there are some easy ways to address this. Repeated Sun exposure to the eyelid skin puts patients at risk for eyelid skin cancers. It is important to have an oculoplastic surgeon give a very thorough exam to the eyelids on a yearly basis. Eyelid skin cancer is best treated when caught early. The smaller the skin cancer when it is detected, the better result after it is removed. I see patients every day in my office that are concerned with bags and wrinkles on their lower eyelids. 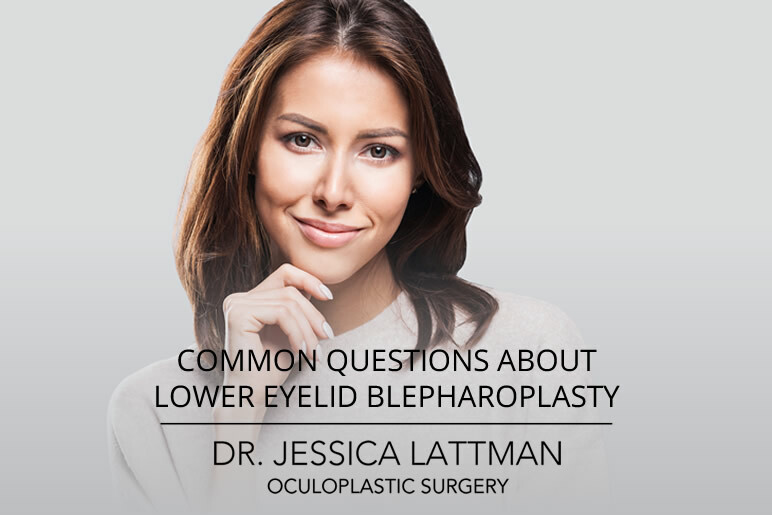 The different surgical approach to the lower lids can be confusing to patients so here are some commonly asked questions. I love this set of before and after photos. They are of a 47 year old mom of 5. She came to me looking for a solution to the heaviness of her upper eyelids. 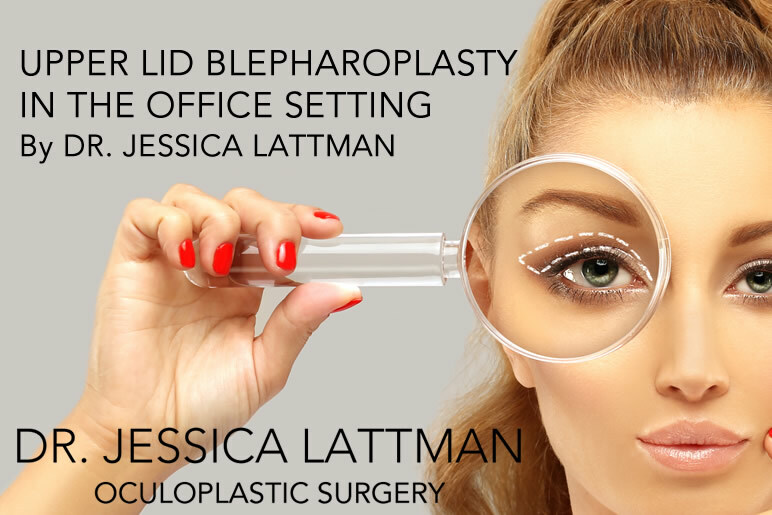 She had done some research online and thought that she needed an upper lid blepharoplasty to help with the excess skin hanging over her upper eyelids. I am excited to share my first “Case Study.” I believe that by writing about specific cases, it will help my current and future patients feel more comfortable with the process of eyelid surgery. Pictured here is a 54 year old man who was bothered by his lower eyelid bags and heavy upper eyelids. He came to see me wanting to improve the way he looked. We are well into the depths of winter and the cold weather has settled in. 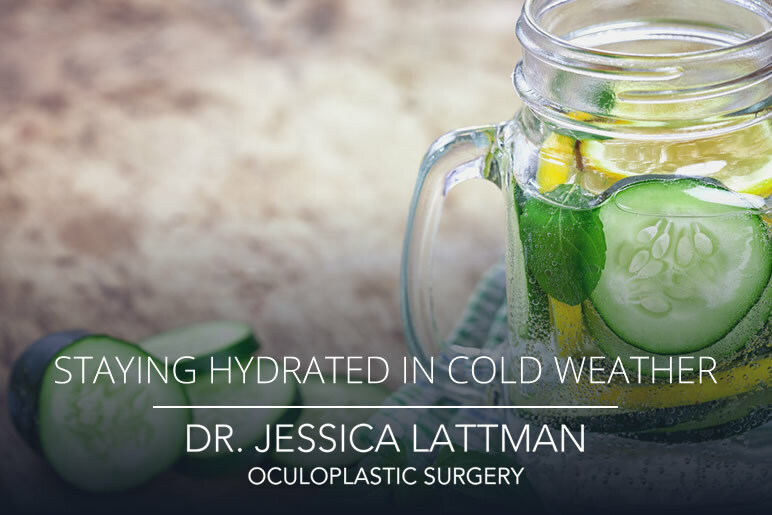 Did you know that it is actually more common to get dehydrated in winter than in the summer? During the winter months the air is less humid and you lose more water from your body with each breath you take during the day. 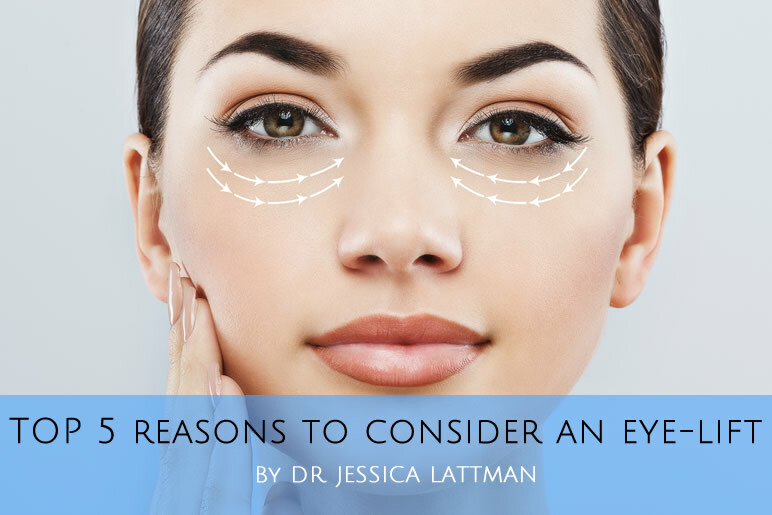 Many patients ask me “how long will my cosmetic eyelid surgery last?” Cosmetic eyelid surgery can last a lifetime, and there are things you can do to keep your surgical results looking their best. While you will continue to age, your eyes will always look more youthful after your surgery than they would have without it. Many of my patients are busy men and women who need to get back to their everyday activities ASAP! So I take optimizing recovery very seriously. Surgical technique, pre-op preparation and post op care are all key factors in a speedy recovery after surgery. 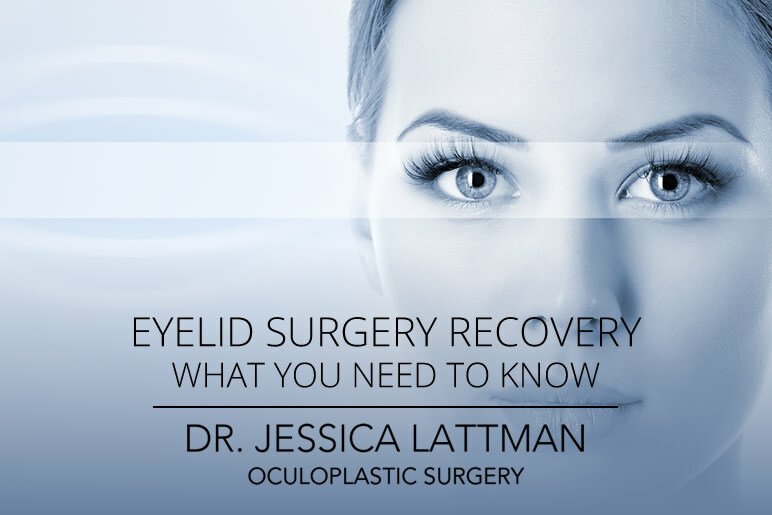 Here is the lowdown on recovery after cosmetic eyelid surgery. During the summer, it is easier to remember to protecting our eyes with sunglasses and a hat. But the eyes and delicate eyelid skin can be even more at risk in the winter months. Often overcast skies and lack of direct sunlight makes us think that our eyes don’t need to be shielded from the invisible UV rays. 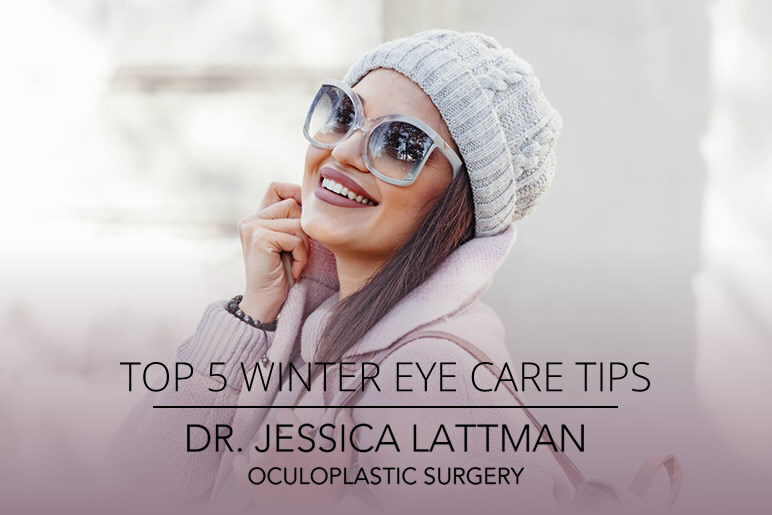 But exposure to UV radiation in the winter can make the eyes more prone to cataracts, macular degeneration, periocular skin cancer and aging changes of the eyelid skin. 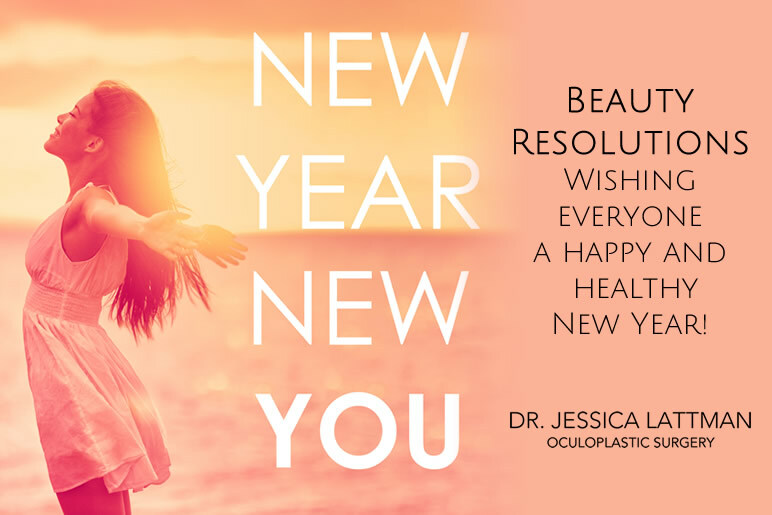 Oculoplastic surgery is a specialized field of medicine that brings together two diverse sources of knowledge - plastic surgery and ophthalmology. 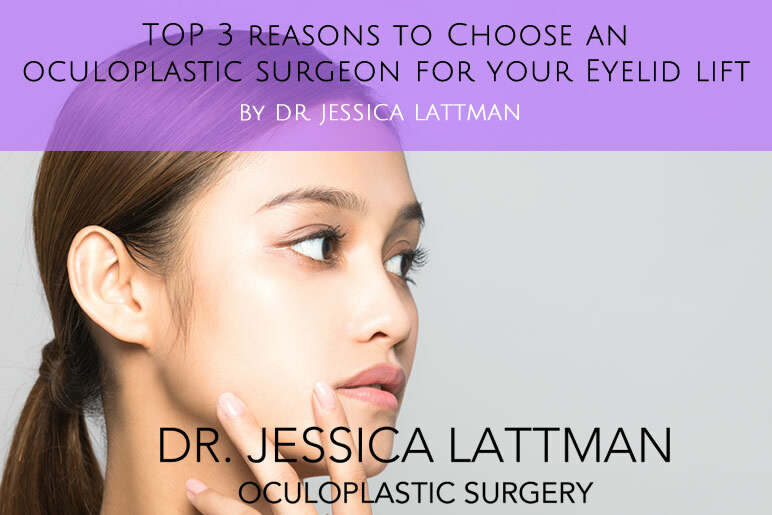 The training to become an oculoplastic surgeon is what makes me a true eyelid expert. Join me in 2019 to keep up and/or start my favorite beauty resolutions. Wishing everyone a happy and healthy 2019!! 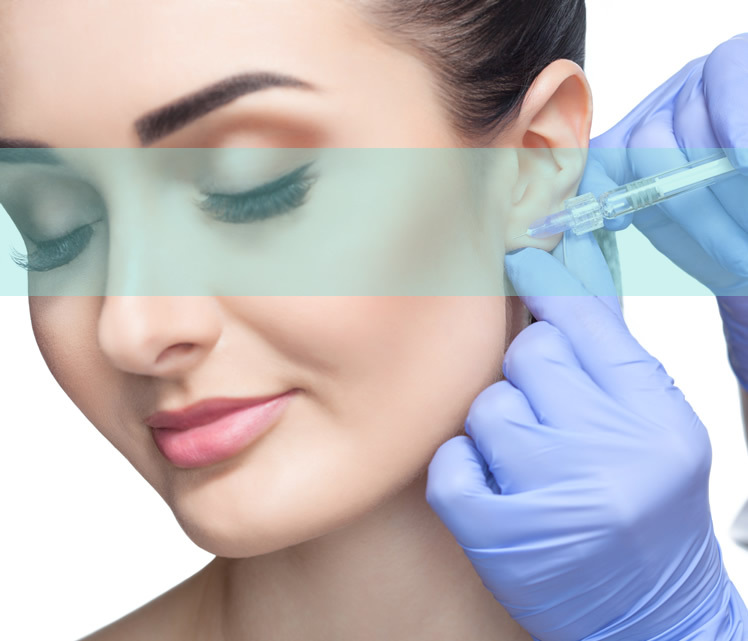 I am asked all the time what is the "right" age to start Botox treatments. The answer depends on each individual. The youngest patient I have treated with Botox was 25 at the time. Starting early can help to prevent permanent wrinkles from forming. Once a frown line or forehead line is etched into your skin, when you are not expressing, it can be challenging to treat with Botox alone. 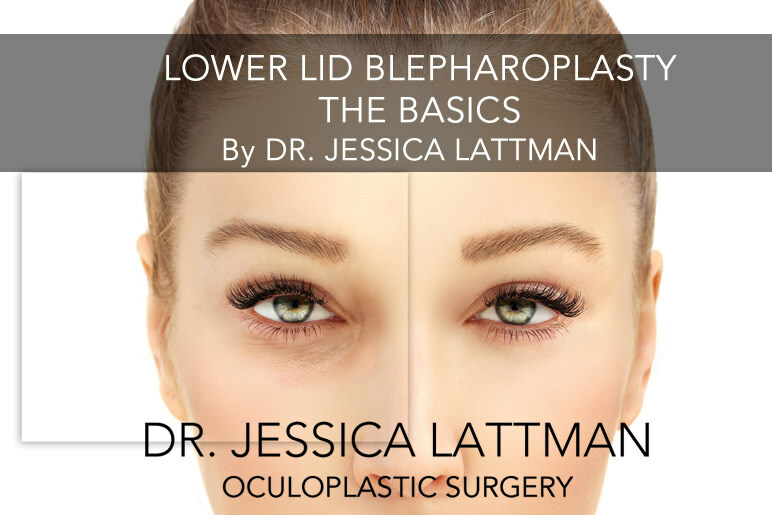 Lower eyelid blepharoplasty can be approached in two ways. 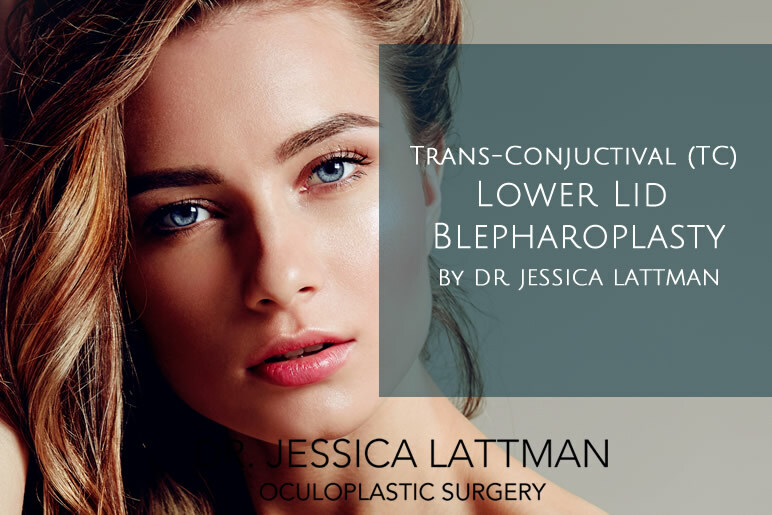 Trans-conjuctival (from the inside of the eyelid) and subcillary (from an incision just below the eyelashes on the outside of the eyelids) The TC approach is a great option for patients who only have lower lid bags, without loose or excess skin. 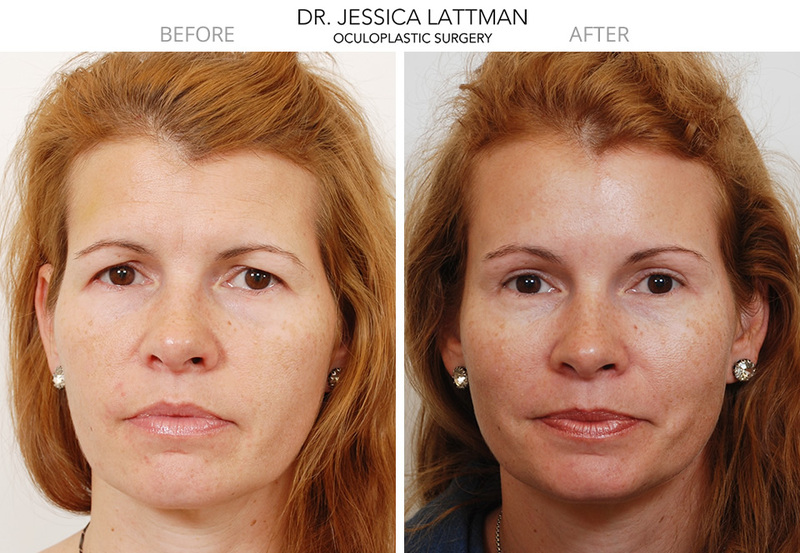 A lower lid TC blepharoplasty can be combined with a laser skin resurfacing treatment for maximum effect. 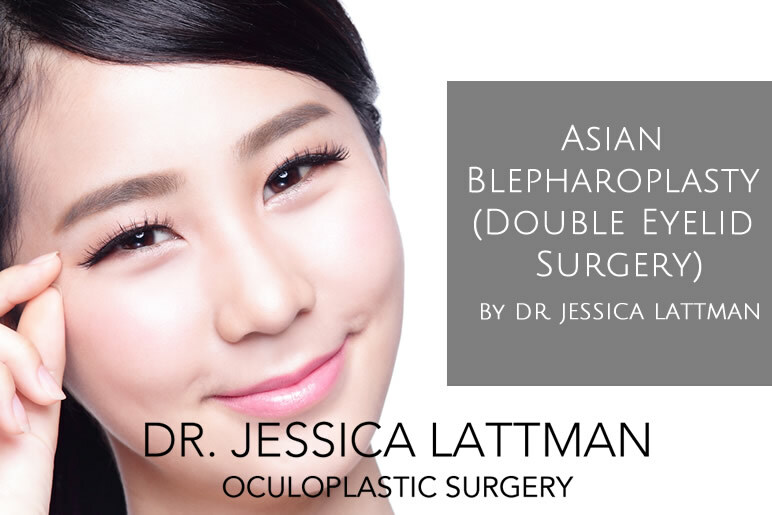 Asian Blepharoplasty is a big part of my surgical practice. As an eyelid expert, and specialist in Asian eyelid surgery, I see many patients who desire the creating of an eyelid crease. 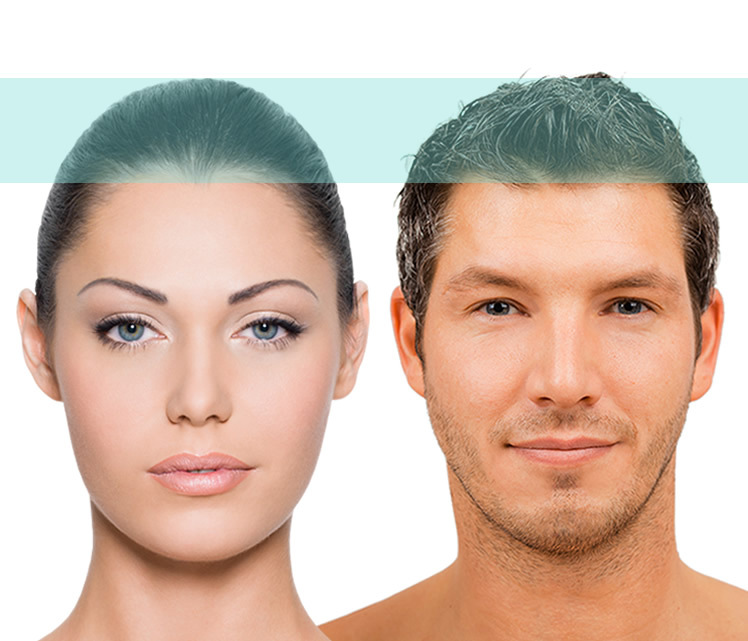 Asian Blepharoplasty creates a new eyelid crease using either a suture ligation or an external incision technique. 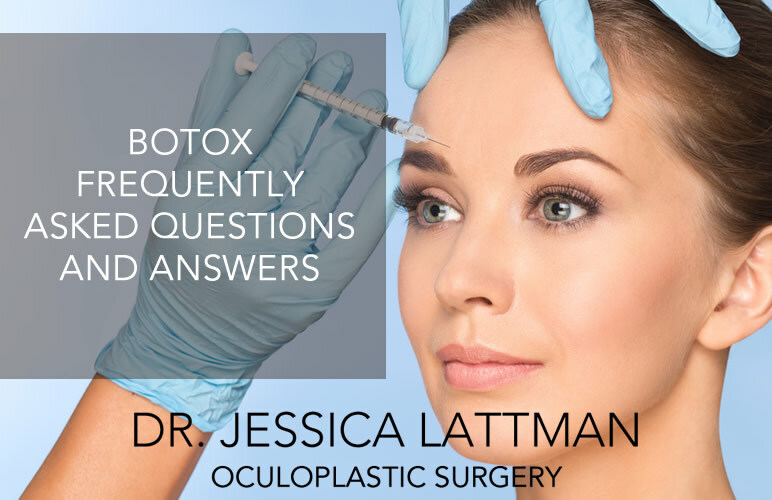 I get asked questions about Botox every day....here are some of the most common questions and answers. When I first meet a patient in consultation I always ask, "What is bothering you?" If their answers are like any of the below, they are probably a good candidate for an upper lid blepharoplasty. Torn earlobes are a common problem. Years of wearing heavy earring, or trauma to the earlobe can cause your ear piercing hole to stretch and become deformed. Stretched or torn earlobes make it difficult to keep earrings in and don't look great. 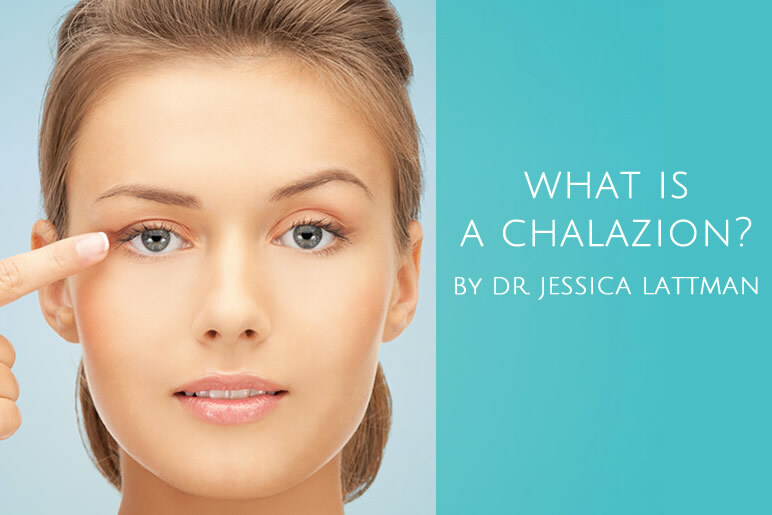 A Chalazion occurs when a small oil gland in the eyelid becomes blocked. The secretions from the gland leak out into the surrounding eyelid tissue and cause redness and inflammation. Healthy eating is so important for our health. What we eat is what we are. Food impacts how we feel, how we look and how our body heals. 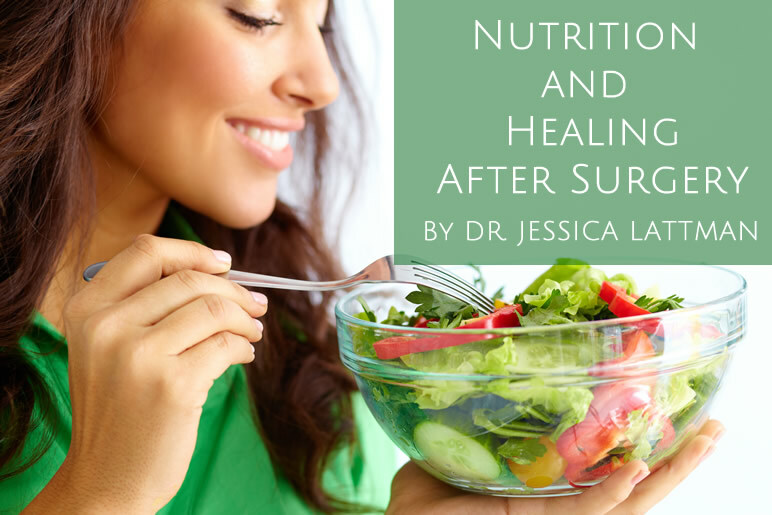 Good eating habits are especially important before and after surgery to help your body heal. I see many patients that are bothered by dark circles under the eyes. For some filler is a great option to improve the dark circles. My filler of choice for the lower lids is Restylane. The eyes are often the first areas of the face to show signs of aging. Factors like genetics, facial structure, sun exposure and the quality of the skin all play a role in how the eyes age. 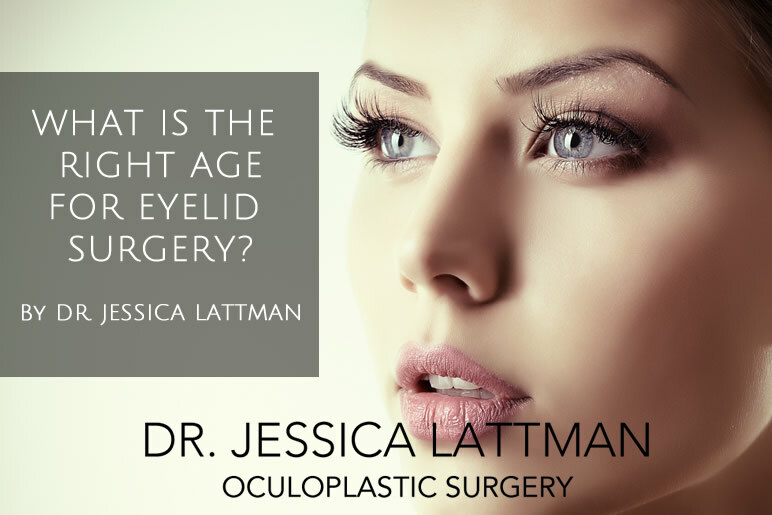 What is the right age for eyelid surgery? The answer is different for everyone! I see many patients in their 20's who have had lower lid bags since their teens. For these patients, mid to late 20's can be the right time to have these bags removed. 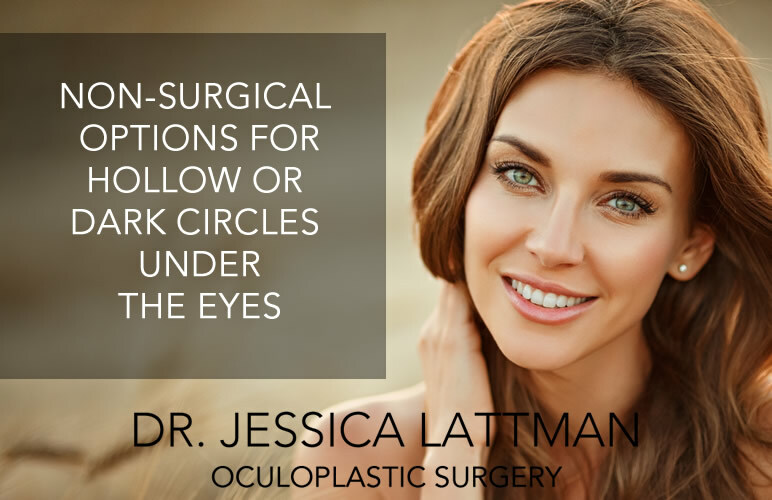 Most of my patients who have cosmetic eyelid surgery are active and want to get back to their routines as quickly as possible. 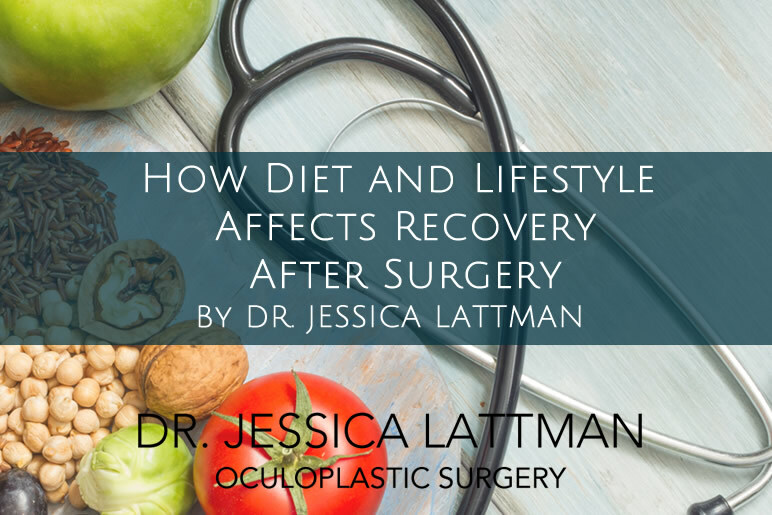 I coach my patients before and after surgery with suggestions for diet and lifestyle that can speed up recovery. Often patient’s come to me unsure what they need or want. They have a general idea that they want to look less tired, younger, natural, not “done,” but that’s all they are able to express. I love to explore with them their faces and offer suggestions how I can help them look more like themselves. 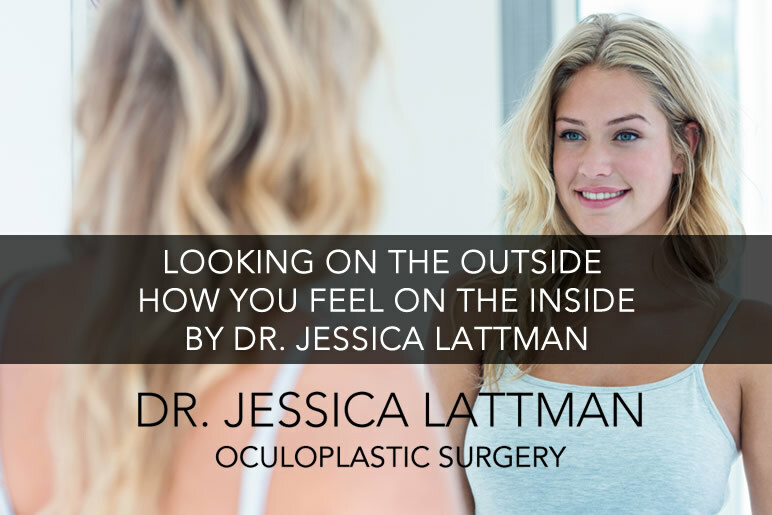 I meet patients every day in my practice that tell me they want to look on the outside how they feel on the inside. They explain how they go to the gym, eat well, stay out of the sun, but they still feel different than the image they see in the mirror. 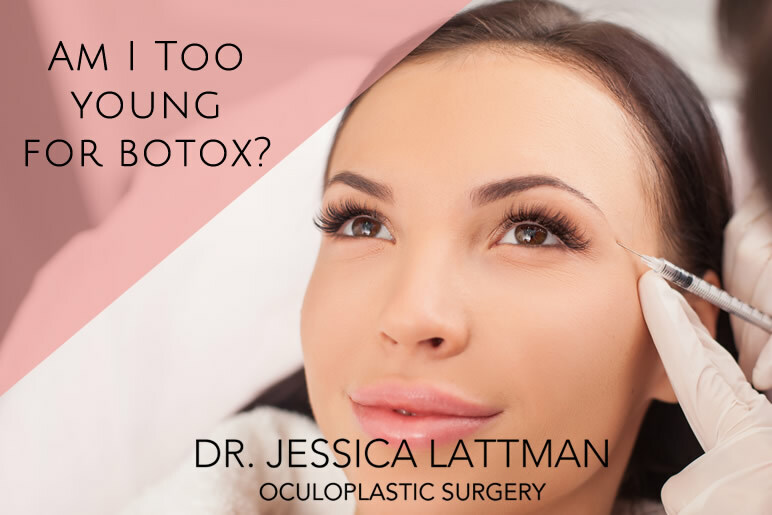 Botox is a great tool for lifting heavy upper lids and sagging eyebrows. I see many patients in their 20’s, 30’s and 40’s that are bothered by a slight drop of the brow and heaviness on the upper eyelids. Lower eyelid Blepharoplasty is a surgical procedure that removes bags, excess skin, dark circles and wrinkles from the lower eyelid. 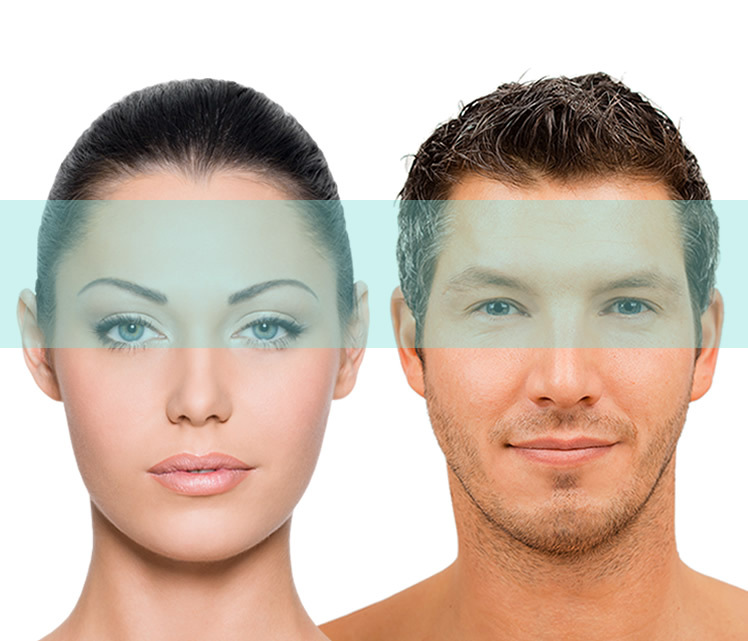 The lower eyelids age in many different ways and can show signs of aging at different ages. I see young patients that develop lower eyelid bags in their 20’s and I also see some patients in their late 70’s that are exploring plastic surgery for the first time. Ptosis is a condition when the upper eyelid drops. Ptosis can affect only one side, or can occur on both upper lids. There are degrees of severity from a mild drop, up to where the vision is completely blocked by the eyelid.